The long-running Lou Bradley Memorial, held in Sun Prairie, WI was this past weekend. This is the 20th annual event, and the 17th straight year it’s had IRT sanctioning as a lower tier’d event. This event is one of the only events out there that doesn’t utilize the R2sports platform, so draw links and information were scarce. But, here’s a review of the results as I can glean them from pieced-together FB posts (mostly a partial draw sheet from halfway through the event). 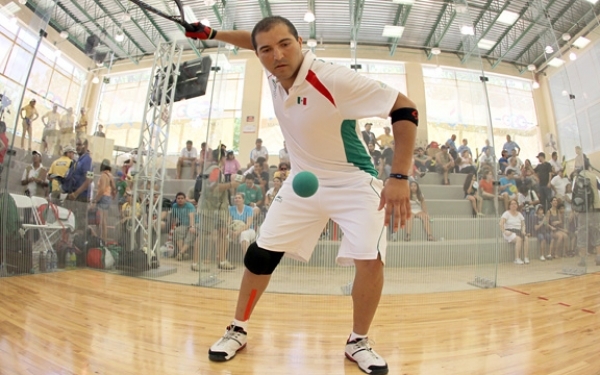 A reminder; we do not store anything other than IRT Tier 1 and higher events into the Pro Racquetball Stats database; this post is more written as a review of the event and as fans of the game. In the quarters, Alex Landa beat Iowa top amateur Brad McCunniff, Gerardo Franco took out fellow IRT regular Justus Benson​ in the 4/5 match, Mario Mercado beat top local Brad Hansen (who we just saw at the Lewis Drug event), and Alvaro Beltran beat Iowa local Derek Ott. Good showing by the top Iowa amateurs in this event. In the Men’s Pro singles draw final, Alvaro Beltran​ took out Alex Landa ​in the final. They advanced through the semis, with Beltran taking out Mario Mercado​ and Landa taking out Gerardo Franco Gonzalez​.